Sunday, 8th May is a special day to say thanks to our mums. And, because there are lots of different types of mums - sporty mums, tea-drinking mums, theatre-loving mums and revheads-at-heart - here's a wrap up of Mother's Day events around Perth that cater for all of them! How will you spend the day with Mum? Support breast cancer research and take on the 2016 MDC. You can sign up for the 4km or 8km walk or run right up until the actual day. All entrants leave from Langley Park and head along Riverside Drive, then back to Langley Park where there will be entertainment on the main stage. There'll also be a memorial minute of silence. The adult entry fee is between $40 and $50 depending on when you register. There are also concession and team prices. Sign up here. 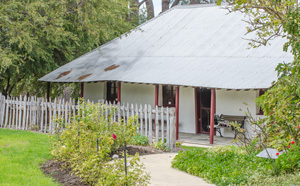 Take a tour of the heritage-listed Cockman House on Ocean Reef Road in Woodvale this Mother's Day. The museum is open from 2 to 5pm and entry is free. You can also join in some old-fashioned old fashioned games like skittles, quoits and noughts & crosses. Plus the the winners from Wanneroo's inaugural Bake Off will be announced on the day. If you're interested in baking some treats, make sure you deliver them between 11am and 1pm that day. Kids are also invited to design and print a special book about their favourite foods. These will then be displayed in the Wanneroo Library. 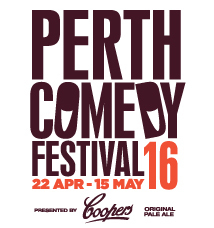 Take Mum to a show at the Perth Comedy Festival. It's like a gift and something to do in one. Chances are you'll love it too. Performers you can catch on Mother's Day include Lawrence Leung, Nath Valvo and the USA's Tony Woods. Or you could catch a bunch of comedians in the Perth Comedy Showcase (an hour of power for $20-$25). Check out the full rundown and grab tickets here. The classic Cats is back on stage and is another present-and-outing rolled into one. 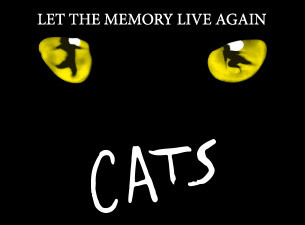 Cats is one of the longest-running and most successful shows to ever grace the stage on Broadway and West End. Whether you've seen it before or never witnessed the Andrew Lloyd Webber stage show, get your tickets for Cats performed at Crown Theatre Perth. The season runs from April 16 to May 8. There are two Mother's Day performances - one at 1pm and the other at 6pm. If Mum is a bit of a revhead, take her to check out the burning-rubber action of the V8 Supercars at the Perth SuperSprint. There's a full day of racing at Barbagallo Raceway on Mother's Day with thrills from 6am to 5pm. A day pass is under $50 and kids under 13 get in free with a paying adult.